Reliably “blue” New England turned several shades of red on Election Day, November 8. President-elect Donald Trump picked up an electoral college vote in northern Maine, and essentially tied Hillary Clinton in New Hampshire (the race has been too close to call for days). Republicans won the governors’ races in New Hampshire and Vermont. Republicans also took some hard defeats. New Hampshire Senator Kelly Ayotte lost her seat to Democrat Maggie Hassan. Governor Charlie Baker of Massachusetts worked hard on two ballot initiatives, neither of which went his way. Meanwhile, we saw long lines at polling places and very high turnout. We turn to turn to a few of our reporters who covered the issues, and talked to voters. Later in the show, a dying tree gets a second life in Vermont, and the Delta Blues thrives in Portland, Maine. We start up north, with the two states making the biggest national headlines and seeing enormous spending on TV ads: New Hampshire and Maine. Fred Bever reports for Maine Public Radio, and Emily Corwin is from New Hampshire Public Radio. 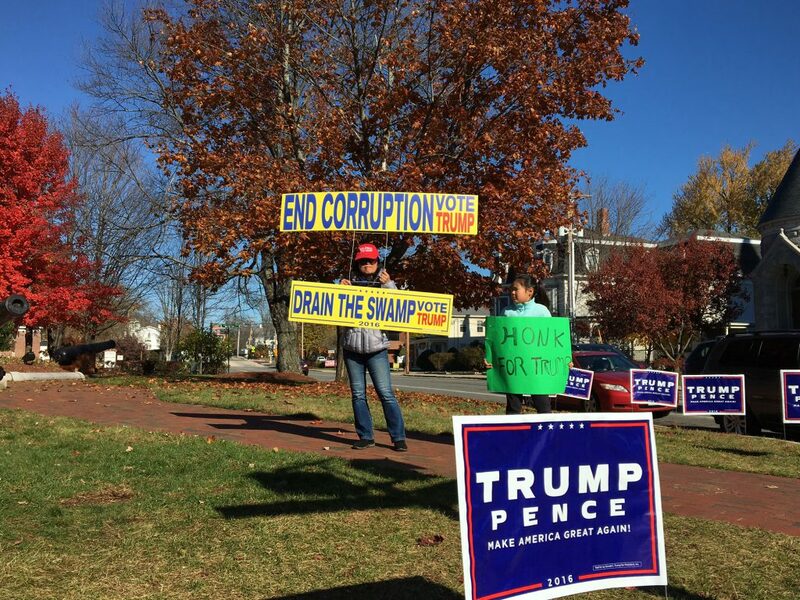 Election Day in New England was not without hiccups. 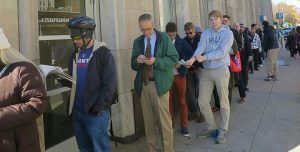 In New Haven, Connecticut, WSHU reporter Cassandra Basler met voters who had been waiting for hours — in the wrong line. And WBUR’s Shannon Dooling spoke with election monitors who told her ballots cast in the state’s new early voting system caused a holdup on Tuesday. Massachusetts Ballot Question 2, which would have allowed for 12 new charter schools to open each year, was the most expensive in the state’s history, with about $40 million spent by both sides. 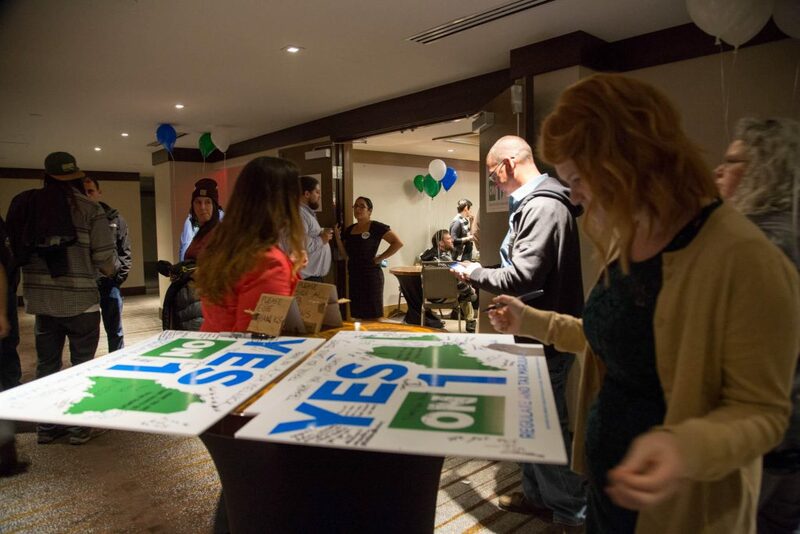 Voters in both urban and rural areas rejected the measure, with 62 percent of statewide vote against. 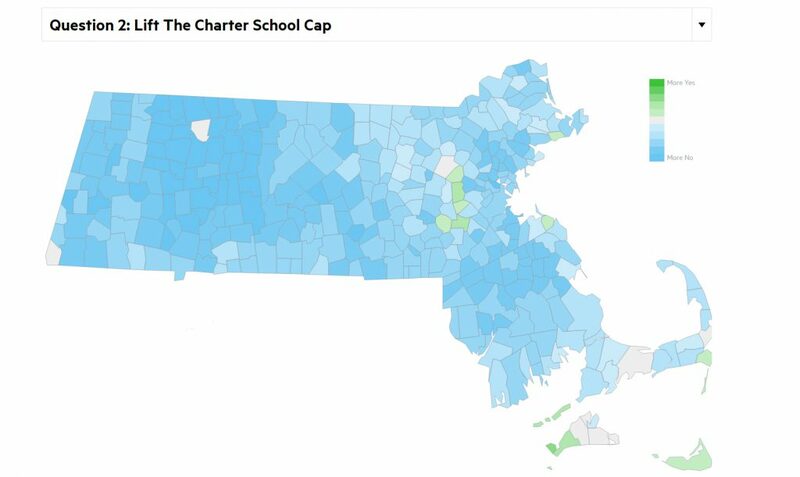 If you haven’t been paying close attention, you might wonder why such a hard battle was fought over charters, in a state with such a strong reputation for public education. For analysis, we turn to Max Larkin, who has been covering the debate over Question 2 for WBUR’s Edify. One of the largest remaining elm trees in New England has died. 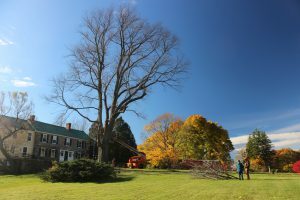 But the wood from the 109-foot-tall slippery elm tree is heading on to a new life — as custom furniture. A percentage of the sales proceeds will support research to breed elms that are resistant to Dutch elm’s disease. The fungal disease, carried by an invasive insect, killed millions of stately elm trees across the country beginning in the early part of the last century. Vermont Public Radio’s Kathleen Masterson reports. View more photos from Kathleen’s story. Samuel James is a musician and storyteller with roots in traditional acoustic blues. But he’s making his mark writing new songs, as well as covering those from the past. James tours nationally and internationally. He was born and raised in Maine, and calls Portland home. Samuel James is the producer of the web series Kitty Critic, which features Portland-area musicians playing in their fans’ homes… for their fans’ cats. His upcoming album, Already Home Recordings Volume 2 will be released next week. 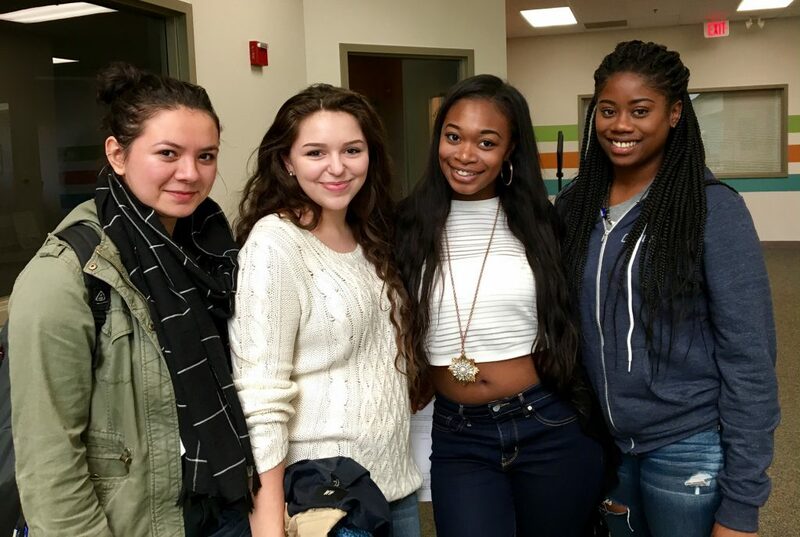 The profile featured here was produced by Shane Perry at the Salt Institute for Documentary Studies. We appreciate your feedback! Send praise, critique, suggestions, questions, story leads, and post-electoral ruminations to next@wnpr.org.